Today is a very special day for both City State Entertainment and our Backers. It was a year ago that our Kickstarter successfully closed its campaign. Since that day we have continued to unlock our Stretch Goals and the total amount raised from our Backers and our investors (including $ 2M from myself) is now over $ 5.6M. None of this would have been possible without your help and we are so grateful for it! This update, #99 is a rather important one for us. 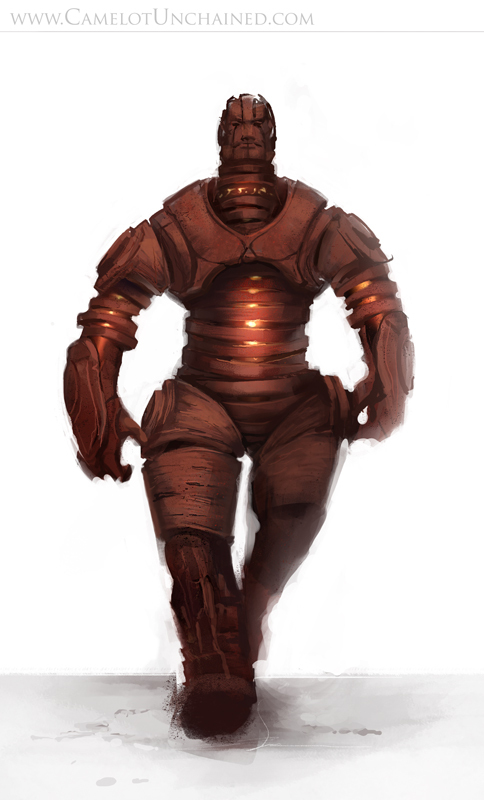 First, this week saw our reaching the $ 2.6M Stretch Goal which unlocked the Giant Races of Camelot Unchained. Over the past month we’ve been releasing various bits of concept art for the Giants of the Vikings and the Tuatha Dé Danann. 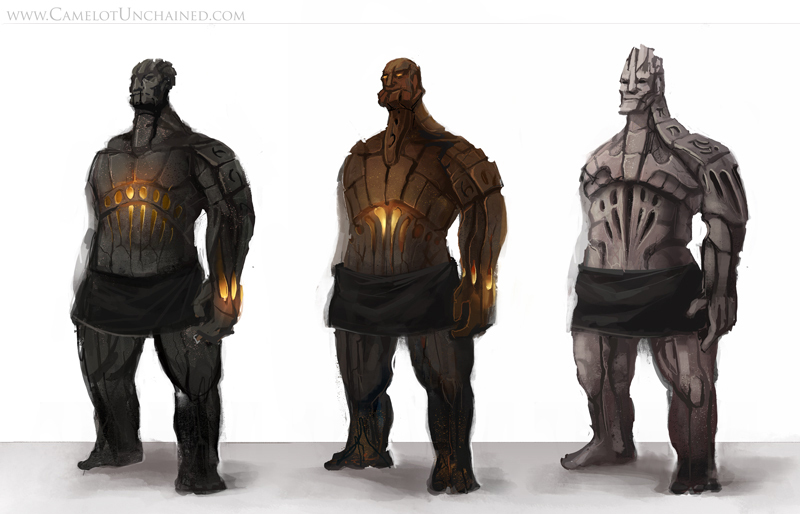 As part of today’s update, here are two additional concept pieces from Michelle and Sandra that show the Arthurian’s Giants, the Golems as well as a possible race for The Depths™ and elsewhere. As always, I hope you enjoy them. 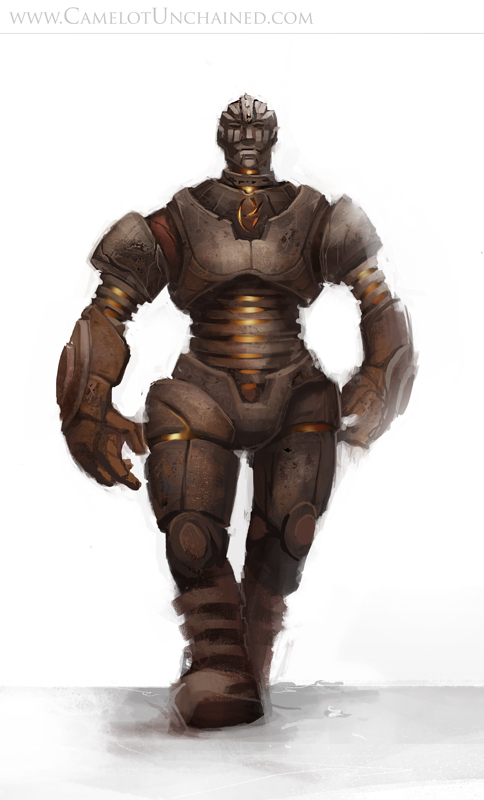 First up are two of the Arthurian’s Golems. 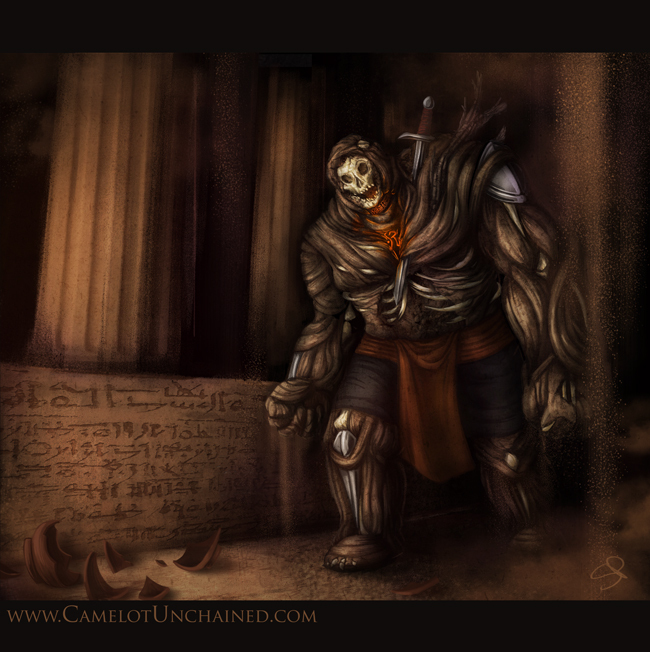 Tagged 2014, Afternoon, Camelot, Friday, Unchained, Update.